If you never intend to drive a car with an automatic transmission, you can skip to the next article on the site. 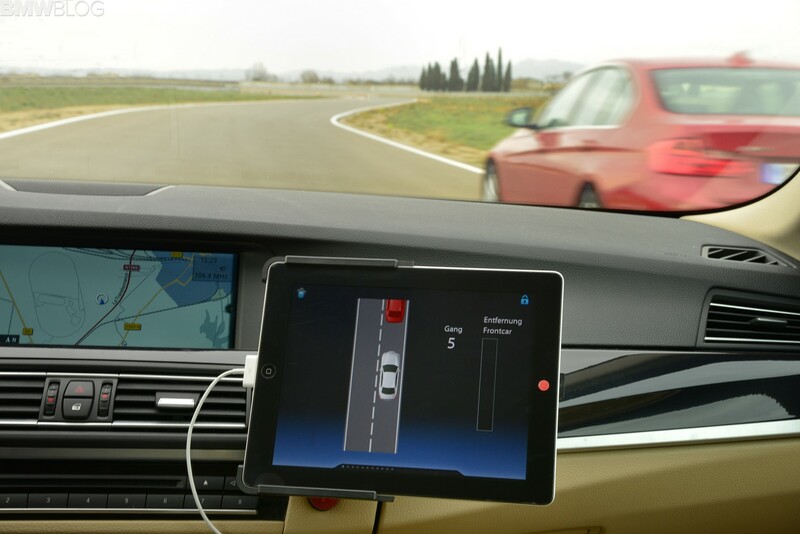 For the rest of us, BMW showcased one aspect of its Proactive Driving Assistant suite of technologies during Innovation Days at the Miramas test facility in southern France. The Proactive Driving Assistant manages gear selection based on input from several sensors and sources. 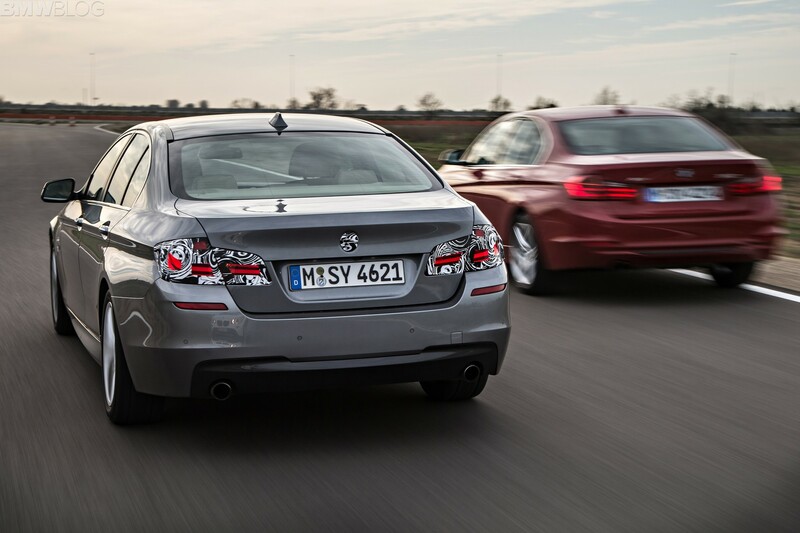 It has a positive impact on fuel economy but also a positive impact on safety. In a short on-track course, using BMW 7 series equipped with the Proactive Driving Assistant package, BMW had journalists simulate two common traffic occurrences, a vehicle ahead slowing down in the lane you’re in, and a lane change. When a vehicle slows in front of you, and you need to accelerate around it, you first lift throttle, at which point the automatic transmission would go into a ‘coast’, or neutral gear, mode. You would then begin feeding in steering and throttle, it is only at this point that the transmission decides in needs to be in a different gear – and that fraction of a second delay in being in the appropriate gear is discernible. And often you end up in a gear lower than that needed to accelerate smoothly – wasting fuel in the process. In the demonstration at light throttle applications the 7 series with the Proactive Driving Assistant immediately selects the appropriate gear to be in. There is no hesitation – the transmission is in the right gear to accelerate based on road speed and that ‘herky-jerky’ shift down after throttle tip-in is eliminated. In the lane change maneuver, the software utilized inputs from the turn signal indicator (which renders this feature inoperative in the US since nobody uses their turn signals), front and rear radar, and throttle position. Again, the appropriate gear is preselected to match the transmission to road speed and ensure economically and effective acceleration away from the overtaken vehicle. 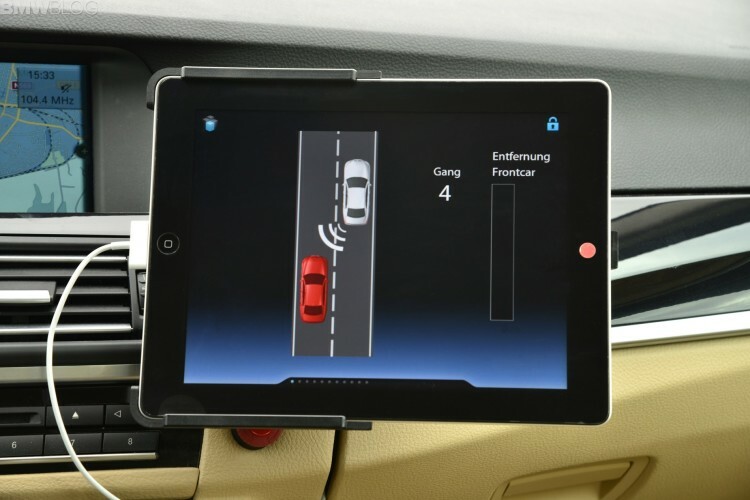 The impact of this feature is felt subconsciously at best – or, more probably, a driver of a BMW equipped with these systems will notice their absence when they drive cars not equipped with them. It may not sound like it would save all that much fuel – either with the systems demonstrated at Miramas or with the GPS input for intelligent transmission control, but that’s the beauty of EfficientDynamics – BMW extracts the best possible efficiency from its systems and in the process delivers great driving dynamics.